Calling all plant and mushroom lovers! If you or your family would love to walk in beautiful woods and discover the riches of spring beneath your feet, this walk is for you! 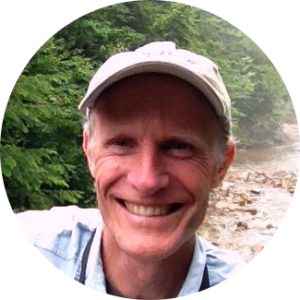 Join master naturalist Dr. Rick Van de Poll for a tour of a rich and diverse woodland in the upper Connecticut Valley region. Witness the delicate colors and fragility of rare plants, learn about the bedrock and soils that help create this rich mesic forest, and discover the fascinating world of spring fungi that attends the coming of warm weather. We hope to find squirrel corn, maidenhair fern, blue cohosh, jack-in-the-pulpit and some fungi (morels, false morels, cup fungi, early polypores). The edible and medicinal value of plants and fungi will be contrasted with the poisonous aspects of certain members of these groups. Although the collecting season for fungi will only be beginning, there will be ample material among the polypores to identify and talk about medicinal aspects in the field. Who knows, we may get lucky and find a morel or two! Please register for the event with Bette Jo Taffe at [email protected] 603-786- 2553. Cost is $20 per person. A wild-crafted soup included in the price! In spite of centuries of ancestral practices to collect wild edibles, the grocery store ends up being our most common “foray site.” This workshop is designed to recall some of the knowledge of bygone days, where sustenance and nutrition relied on familiarity, skill, and careful preparation. We will cover common edible and medicinal plants that grow right in our backyards. Both in-class presentations and fieldwork will provide a taste of what is out there. Be prepared to sample new foods from weeds to tree bark to rock tripe. Registration is through the NHOLC web site above ($165/day). This first mushrooming field class at NHMC will take place at the headquarters of the NH Mushroom Company in Tamworth, NH (directions, please see http://www.nhmushrooms.com). It will cover the basics of collecting mushrooms, distinguishing edible from poisonous, estimating nutritional value, beginning cultivation and more. We will also go out to foray at a local “hot spot” to find early summer fruiting of some fabulous fungi and return to identify species. The highlight will be owner Eric Milligan’s cookery, which promises to be as delicious as ever! Cost: $50, pre-registration required. Peatlands? Fens? Don't get BOGGED down in definitions of our most cherished wetland resource! This program will help you sort out how to identify them, and how to understand why they are so important on the landscape. Join Dr. Rick Van de Poll for an evening slide extravaganza and then a morning field trip to one of the most pristine peatlands in the North Country. Find out why 'Tolland' (Bog) Man was so well preserved after 2500 years, why bogs were so well mapped in NH in the 1940's, and why entire cultures have survived on the heat they produce. The unique flora and fauna associated with peatlands will be introduced during the slide show, and then discovered up close in the field the next day. 2-Days to This Workshop July 25 - Thursday evening slide show will last from 7 - 8:30 pm, and July 26 - Friday morning walk will extend from 9 am to 12 pm. Be prepared for inclement weather as needed, bugs, and possible ticks, although we will be mostly walking on an ADA accessible trail and boardwalk. Length of the walk is about one-half mile out to the bog mat. The NLRA regularly hosts a variety of natural history workshops and is offering this classic tour of their Grey Rocks property at a time when mushroom diversity is usually at its peak. There are ample floodplain and lakeshore forests about to wander through, plus a local town beach to cool off in afterward if it's hot. Feel free to bring your own canoe or kayak to enjoy the water trail before or after the foray.